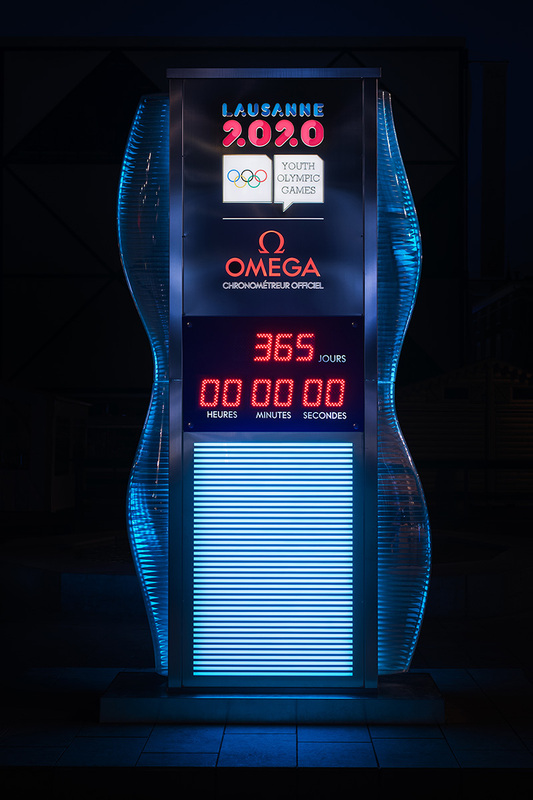 As the Official Timekeeper of the Olympic Games and the Youth Olympic Games, OMEGA has today celebrated the 1-year countdown to the Winter Youth Olympic Games Lausanne 2020. This will be the first Olympic Games to be held in Switzerland since the Olympic Winter Games St. Moritz 1948. OMEGA was also the Official Timekeeper that year – and is truly looking forward to welcoming the multi-sport event back to its own home country! In fact, the host city of Lausanne is just over 100km from OMEGA’s watchmaking headquarters in Bienne. When the event begins on the 9th of January 2020, Lausanne 2020 will mark the third edition of the Winter Youth Olympic Games. Around 1,880 young athletes from over 80 nations will compete in 81 events around the city of Lausanne, on the shores of Lake Geneva, St. Moritz, and in the nearby Vaud Alps and French Jura mountains. OMEGA’s proud Olympic Games legacy began in 1932 and the brand looks forward to recording the dreams of these young athletes and supporting them in their sporting journeys.